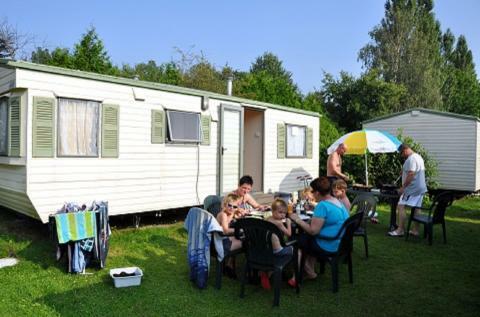 Vakantiepark Droomgaard in Kaatsheuvel - the best offers! This price applies to 4-person mobile home/caravan Kampeerbungalow, with the arrival as 23 April 2019, 3 Nights. 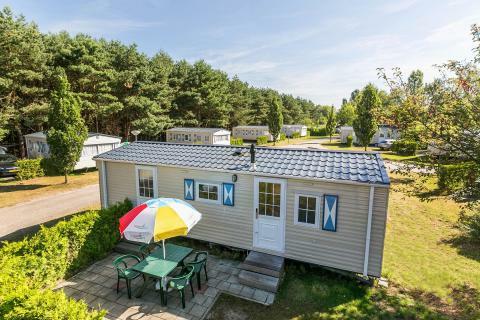 This price applies to 4-person mobile home/caravan Loonse, with the arrival as 16 May 2019, 3 Nights. 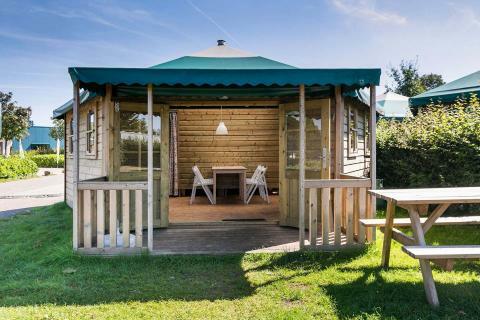 This price applies to 6-person mobile home/caravan Drunense, with the arrival as 23 April 2019, 3 Nights. 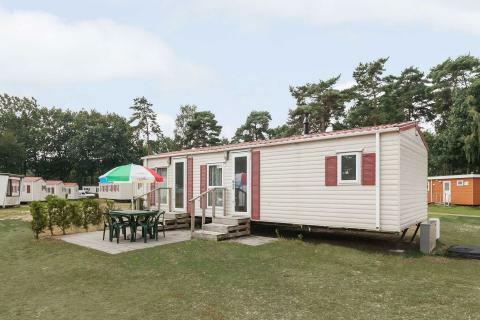 This price applies to 6-person mobile home/caravan Couwenbergh, with the arrival as 23 April 2019, 3 Nights. This price applies to 4-person mobile home/caravan Prinsheerlycke, with the arrival as 23 April 2019, 3 Nights. 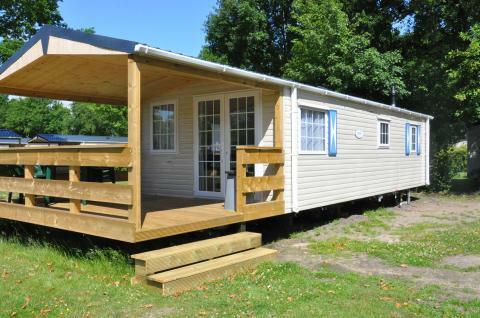 This price applies to 4-person mobile home/caravan Keizershuys, with the arrival as 3 June 2019, 2 Nights. Pets are always on request. Please make your request clear when booking and the park will take it into consideration. A surcharge of €5 per pet, per night will be applied and a one-time cleaning fee of €10. Vakantiepark Droomgaard is located in the village of Kaatsheuvel in the Dutch province of North Brabant. Take a swim in the tropical swimming paradise and surprise the kids with a trip to the Efteling theme park! The Loonse en Drunense Duinen National Park is also nearby! Vakantiepark Droomgaard is the perfect place for sports enthusiasts. You can enjoy a game of volleyball, football or basketball on the sports field, or have fun with a game of mini-golf or petanque! A game of tennis is also possible at Vakantiepark Droomgaard. In the tropical swimming paradise, you can enjoy the warm water, the giant slides and the rapids! Those who would rather some relaxation can spend time in the various saunas, the solarium or the whirlpool. Younger guests can rollick and romp in the children’s pool and play area. In the park, you will also find several playgrounds where the children can enjoy themselves. At Vakantiepark Droomgaard, fun activities are organised such as treasure hunts, sports competitions and arts and crafts mornings. At Restaurant Carrousel you can enjoy a delicious dinner. If you want to cook yourself you can do your shopping in the supermarket at the park. For a quick bite, you can get a snack at the cafe or enjoy a drink in the pub. Kaatsheuvel offers many opportunities for a fun holiday. At the Nationaal Park De Loonse en Drunense Duinen, you can enjoy fantastic walks and bike rides through the heaths and dunes. The park offers a bicycle rental service. Kaatsheuvel is also home to the enchanting Efteling theme park. The little ones can have fun in the Fairytale Forest while the bigger kids and adults try out the thrilling rides. For city trips, Den Bosch and Eindhoven are both highly recommeneded. In Den Bosch you can visit the Gothic St. John’s Cathedral, the Stedelijk Museum and the Jheronimus Bosch Art Center. At the Historical Museum in Eindhoven you can experience life through the ages, including medieval games and cooking on an open fire. Evenings in Eindhoven are also highly enjoyable, with cosy pubs and delicious eateries on every corner. For most preferences/requests, a surcharge of €16.50 will be applied. You can find these costs on the invoice from the park. Groups can only stay at this park upon request. If your request is accepted, a deposit of €50 per person is required. Some of the Droom chalets feature a wooden front porch. These can be booked on request. In the 4 person chalet Kampeer, there are no shower & toilet facilities. Guests can make use of the public restroom facilities at the park.